Welcome to Santa Monica Dental Arts! From laser dentistry and cosmetic smile enhancement to dental implants and emergency visits, Dr. Koshki and the team at Santa Monica Dental Arts are proud to provide high-quality dental care in a warm, welcoming, and comfortable environment. We want you to feel at home, and our practice strives to create a relaxing atmosphere every time you visit. Trained and licensed in all aspects of restorative and cosmetic dentistry, Dr. Koshki enjoys providing excellent service to all patients – from children as young as 18 months to the most golden of seniors. Dr. Koshki’s commitment to his profession extends to his continued training and education. Dr. Koshki, Dr. Sakamoto and our staff understand that the prospect of visiting the dentist can make some patients uncomfortable. Therefore, we make it our mission to help you feel at ease and alleviate any discomfort or anxiety you may feel. During your visit, you can enjoy free WiFi access to stay connected, or browse through our vast collection of up-to-date magazines. If you arrive early, or if you are accompanying a friend or loved one to their dental visit, then you might also enjoy our variety of freshly-brewed refreshments. For an even more relaxing experience, essential oils provide a calming atmosphere, and our reception area provides an extraordinary view of Bay City! Our technologically-advanced facilities offer digital X-rays that help us maintain our high standard of safety by emitting up to 90 percent less radiation than traditional radiography. We personalize every treatment option to meet and exceed your needs and preferences, and we are committed to strict standards of safety and good hygiene, including rigorous sterilization, decontamination, and disposal procedures to avoid cross-contamination and infection. You will never be surprised by expenses related to your treatment planning. We are dedicated to thoroughly explaining what you can expect from your co-pay or out-of-pocket costs before we begin treatment. We are in-network with most PPO insurance plans, and will likely already have experience working with yours. We accept cash, check, bank debit cards and all major credit cards (i.e., VISA, MasterCard, American Express, and Discover). We accept CareCredit, a third-party financing agency which offers interest free payment plans for those who qualify. Golden Seniors: Dr. Koshki and Dr. Sakamoto is honored to serve our community of senior citizens and offers a 10% Senior Courtesy on all dental treatments. Visit Santa Monica Dental Arts Today! At Santa Monica Dental Arts, conveniently located in Santa Monica, CA, Dr. Moeiz Koshki, Dr. Sakamoto and our staff are dedicated to providing the highest-quality dental care to patients of all ages. 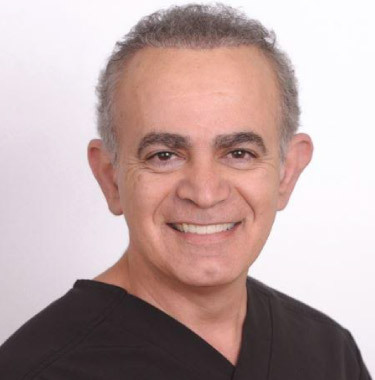 As a highly-skilled general dentist with over 25 years of experience, Dr. Koshki is well-known and in high demand for the stellar service he provides, and for his expertise in creating beautiful, healthy smiles for life. To learn more about the services we offer, or to schedule a consultation with Dr. Moeiz Koshki and Dr. Sakamoto, call Santa Monica Dental Arts in Santa Monica, CA today at 310-395-1261.